February 6-10, 2012. Nogales, Mexico. A border town between Arizona, US and Sonora, Mexico. Here, A Jesuit run shelter that feeds and gives medical aid to migrants deported from the United States via Nogales is located about 500 yards south of the Mariposa Port of Entry. An average of 200 deported migrants — mostly men — are fed and given medical aid daily. Most of those who seek medical aid suffer from foot and leg injuries from prolonged walking in the desert. 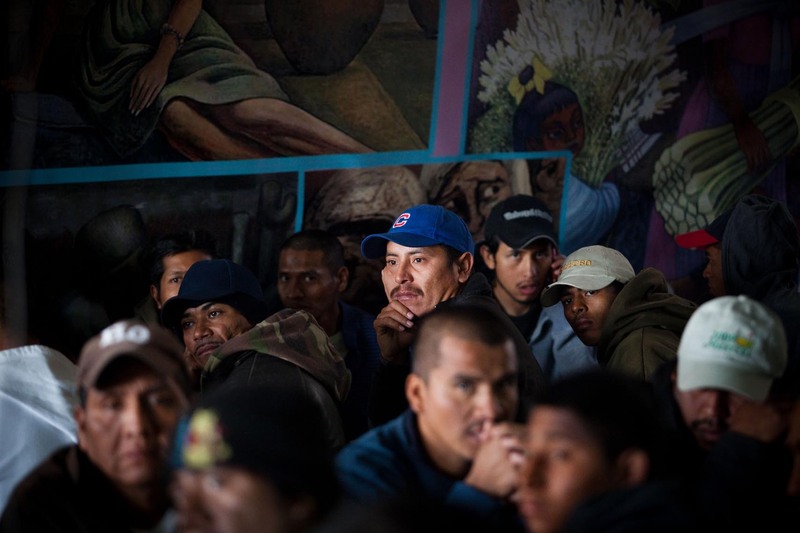 (Center with blue cap) Jorge Murcia, 29, from Honduras, crossed the border desert twice, first, sucessfully in 2002, after which he worked in a meat packing factory in Kansas City. He got captured and deported during his second crossing in 2010 after needing to visit his sick mother back in Honduras. Piotr Redlinski for The New York Times.